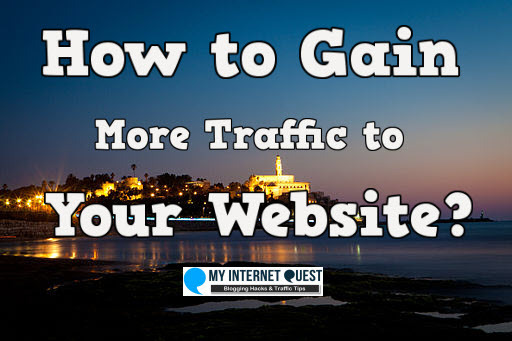 How to Gain More Traffic to Your Website? –Top 10 Keys to Success. Are you working hard on your website but not seeing anyone coming by at all? It can get really frustrating after all that time spent and believe me when I say I too was in that exact position. This very website (Or blog, they are the same anyway) that you’re reading is almost 1 year old and I have wasted half a year getting only 5 visitors a day. I was stressed up with not getting anything in return so I took up the initiative to learn from various bloggers, SEO consultants, as well as joining an online business classroom to learn and today, my website is getting me regular traffic which increases day by day. Traffic Generation wasn’t as big compared to a few years ago but through time, it started to grow in popularity and there are even classes who specialize in getting traffic for websites. Increase conversions – The more people who comes to your website, the higher the chance a few percent of those people would want to buy something. What’s there not to love? Increase Google rankings – If a website seems favourable that many people tend to go there, Google will make it easier for them and rank your post higher in search results. It’s a never ending cycle! Scale up your biz – The beautiful thing about websites is that once you get it on the first page of Google, it will STAY there permanently. This means that people will be going to your site non-stop and that is just for one post. What if you have 100 more? I know you’re just dying to get to the good part but there is one last thing that I wanted to let you know before we delve into the driving traffic part. Organic traffic – The BEST type of traffic that every businesses want and need because these types of traffic are people who find interest on your offer on their own accord. You can know this through many methods like if they applied for your newsletters, if they come to your website through Google, or even if they comment on your posts. Although organic traffic is hard to get, they are also the cheapest (literally free) and it’s the type of traffic that I’ll be covering today. Paid traffic – Paid traffic is the riskiest type of traffic you can get because you need to pay in order to drive them to your offer. Why I say it is risky is because you will never know how many of them will even buy your product even with all those money spent. Not only that, you will also risk the vendors themselves giving you cheap worthless traffic which is why I would never advice anyone to go after paid traffic. Now to the main part, traffic generation! Although there are not much to learn, there are still much to implement because in order for people to come to your website regularly, you need to work on it regularly. Traffic #1 – Do SEO! SEO stand for Search Engine optimization and there’s actually a valid reason as to why I put this method as number one – Passive traffic! Basically SEO is an art of getting your page ranked on the first page of Google and there are a few things to consider such as the frequency of posting your content, the length, and keyword analysis which I have covered in one of my blog posts here. Passive traffic generally means traffic that comes to your website without you ever needing to do anything. Sure you need to spend time writing content before you are able to post it but once you do, it will attract visitors. Your rate of visitors coming will not be as high as you expected at first but after a few weeks of writing and posting, the amount of people coming to your website will increase drastically. One post will remain in Google forever so just imagine what would happen if you have 100 posts? You will literally get passive traffic because as long as your website remains in Google, people will be coming to your site non-stop without you needing to do anything! Content is one of the most powerful instruments to SEO, and also to traffic generation. By writing a great content, not only will you get people to stay at your website longer (Which Google loves), those people are also going to share your posts which will get you more and more traffic. In order to write a killer content, stick to the basics – Write at least 1,000 words, share your personal experiences and of course, pictures. Content creation is so powerful in fact, that even after a few years you can help boost your site SEO simply by updating your content. That’s right, you don’t need to spend hours writing one again, all you need to do is simply update your old unread contents, fill it with life and teh next thing you know, people will start commenting already. 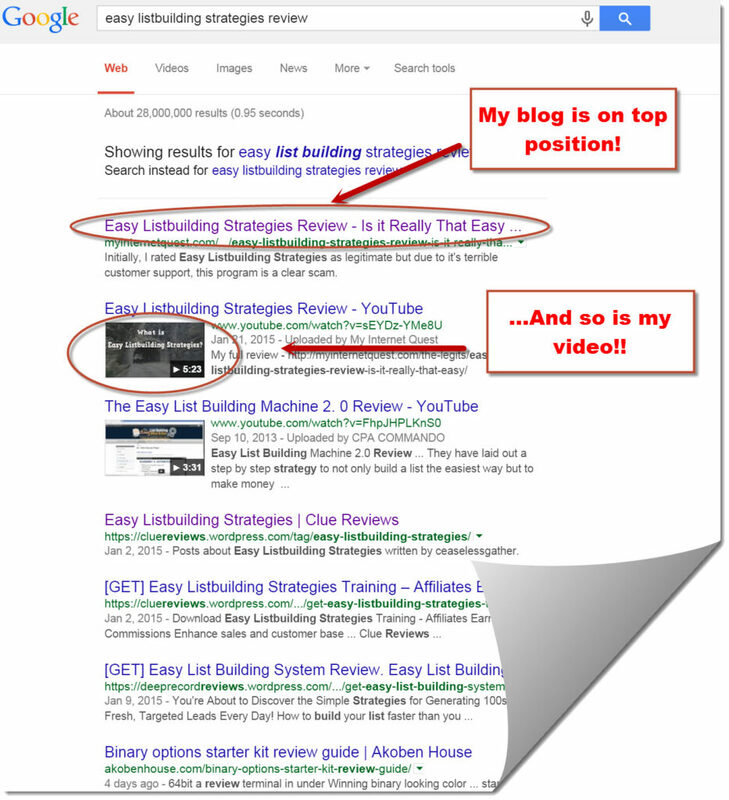 …Or guest posting, or even guest post blogging (Goes by many names) is a great way to earn you massive traffic. The idea is simple – You write on someone else’s blog which is of course way bigger and more established thank yours and in return, readers from that blog will want to find out who you are hence the traffic leading back to your website. 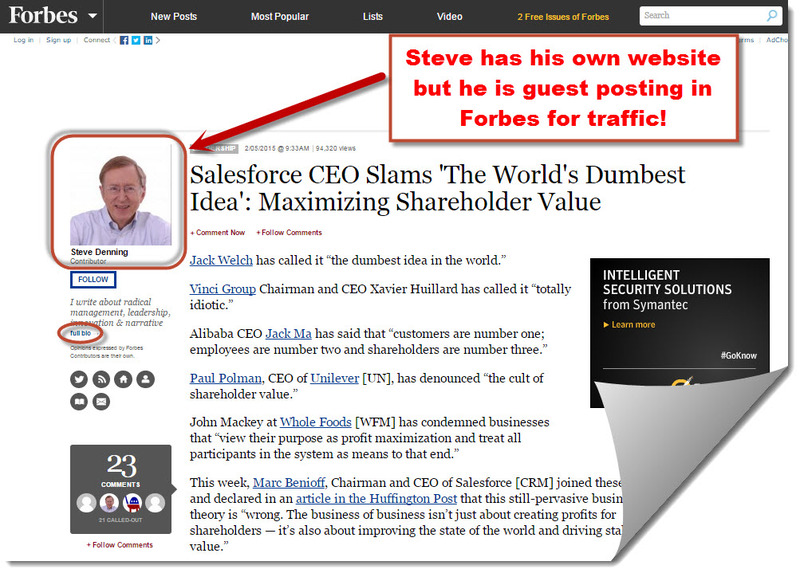 If you look at my screenshot above, you can see Steve writing in Forbes. Readers who are stout followers of Forbes might be curious to know just who is that great writer who contributed to Forbes’s great articles. So in order to find out more, they will check out the writer’s profile and voilà! The see your link and click on it which leads them straight to your marvelous website hence giving you organic traffic. We know now that writing killer content can bring in great traffic, but have you ever wondered how often are you going to post? A great rule of thumb is to post 3 articles a week so that Google will see your site running actively which makes them index you faster. Some people do blog posts every day and though this does give you more traffic, I do not really advice you to do that because you will be giving your readers a hard time reading. When that happens, they will tend to skip some of your posts which is something you don’t want which is why 3 articles per week is good enough. Still, 3 sounds too frequent for some people (even bloggers think the same) so in order to curb that issue, do a mix of long and short posts instead! 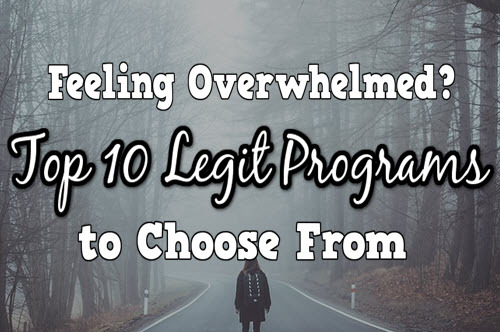 Sure, writing 1000+ words is great but are you willing to write that much 3 times a week? 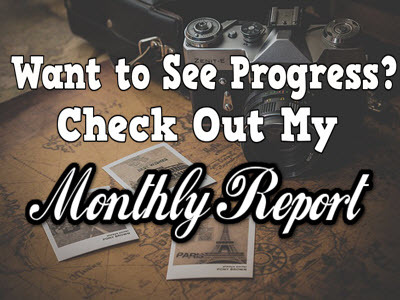 Some of your blog posts can be a few hundred words short and you can make use of this by sharing things like your personal progress, website updates or even a story you’d like to mention. 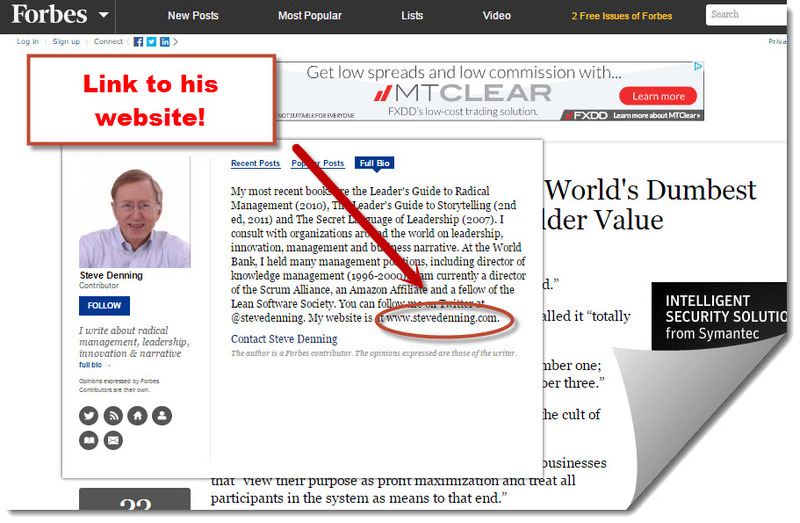 Have you ever given your email for a newsletter from a website? Sure it looks like nothing but doing that means you have given permission to the website owner to send you emails and this is a very powerful tool. 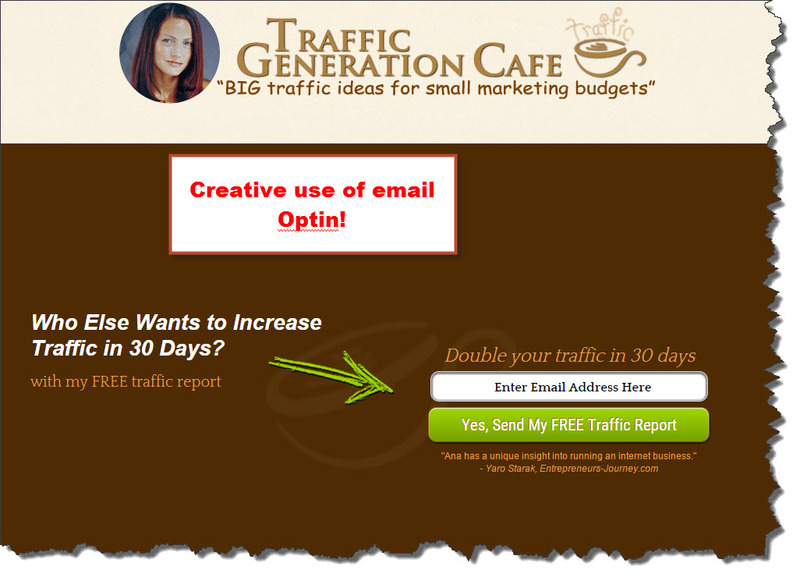 One of the most creative newsletter landing pages is made by Traffic Generation Café as I find it simple but impactful. Online Entrepreneurs have been using emails for years which is no surprise because according to a research made by Aberdeen, personalized emails improve click-through rates by 14%, and conversion rates by 10%. Not everyone likes to bookmark and read your posts so they tend to give you their emails instead, hoping to get more notices of new posts they can check out and this is a great opportunity for you to build a relationship with them. After a few emails, your subscribers will have the decision they need – To trust you or not to trust you (Most of the time they’ll trust you) and this is how websites gain additional sales. 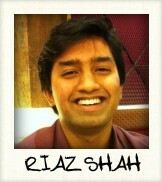 I don’t normally ask my friends to like my page because I wanted to try and get organic traffic from Google. After all, you wouldn’t want your friends to see you as a failure if nobody is visiting your website, would you? People get advertisements and favours from friends almost all the time so what stops them from thinking “This is gonna be another failure business”? Before you approach your friends to ask them to comment, make sure your site is set up with a few comments here and there. You’d be surprised at how surprised your friends would be at your results that they would be more than willing to share your website with their friends! Linking your website with other bigger ones are great, but why not improve your site yourself so that you can link between your old posts instead? Normally, we usually add links to our posts which lead to another external website which is acceptable but in doing that, you are promoting other people’s websites for free. It is understandable if your website is still new but if not, you can create your own blog posts which you can link to in order to give you more traffic to your old posts. Google likes it if visitors come to your old posts and by linking your new ones with the old ones, you will gain higher rankings within Google. Traffic # 8 – Social Media Still Works! According to Aberdeen, 83% of marketers say that social media is important for business. When publishing your content, do you share your post to all your Social Medias? I know how nervous it is to share your posts on social media, but you may never know that one of those people can become your customer. Even if you are not as social, people do not care for that at all – What they care most is valuable information. 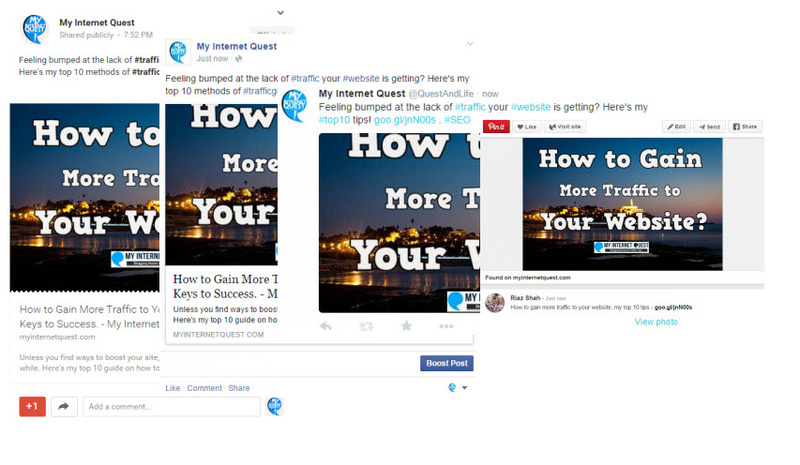 Getting people to like and share your post can do wonders in giving your website huge traffic. So the next time you write an article, don’t forget to share it on Facebook, Twitter, Google+ and Pinterest too! Traffic #9 – Who Doesn’t Like Videos? Videos convert so much better than plain words (Who can resist that huge play button?) because not everyone loves reading (I particularly, am a VERY slow reader). I know it can be extremely nerve-wrecking to create a video of your own as I too am not a very social person but if there’s one advice I can give for video-making, is that you don’t have to be perfect. It is the most unprepared video I have ever made and I only took a few minutes to make it but people actually liked it and I get a lot more traffic to my website. The moral of the story is that people do not really care how you look like, they just want your help to solve a problem they’re facing. If you are brave enough to show your face, that would be so much better as it shows transparency that you have nothing to hide and not hiding behind a computer screen. The first video release might take ages to do but after a few recordings, you can make one in less than a minute’s thought! Traffic #10 – Join an Online Classroom! When all else fails, get to the basics and join an online classroom! 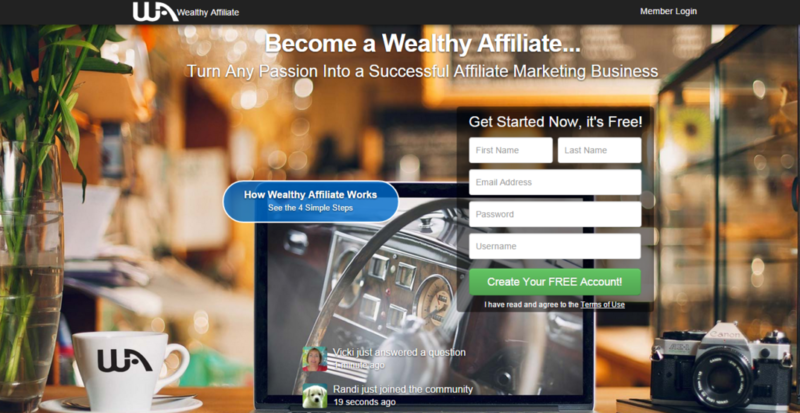 The best one that I can recommend you is Wealthy Affiliate because not only does it have updated lessons, it also have a great community of people sharing new tips and updates for websites and traffic. At Wealthy Affiliate, you’ll have all the tools you need to start your own website, learn how to drive traffic and even monetize it. 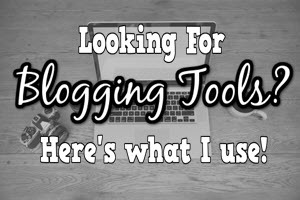 Although not all my blog posts are on the first page of Google, most of them are and I’m working my way up to get better rankings and more traffic. Wealthy Affiliate specializes in getting you traffic from SEO but inside, you will also learn other traffic methods such as email marketing, content marketing, and even keywords strategy. Start your $0 starter account here! Every business needs a website and traffic generation is the key for your success online. Paid traffic is good but at the end of the day, organic traffic is the one that will be worth to you more than anything so as long as you continue to provide quality content, share your great article through social media and do some decent email marketing, you’ll be getting loads of traffic in a jiffy! If you’re interested in learning more about traffic generation, check out my #1 recommended program here. Thanks for reading, do share your thoughts and opinion below as I’ll be more than happy to reply. That’s some very cool analytics, thumbs up man!